We LOVED the audience at our Venice concert!!! What a great time for all! 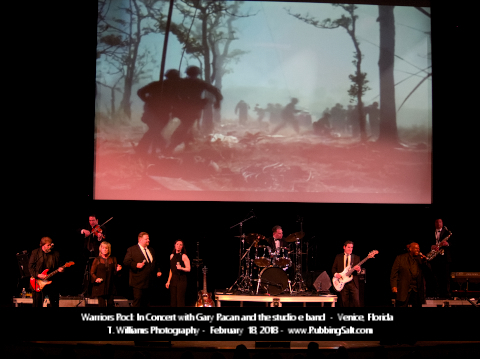 Meet us in New York April 7 for our next Warriors Rock concert. Here are a few pics from the night!!! Our WARRIORS really do ROCK!!! 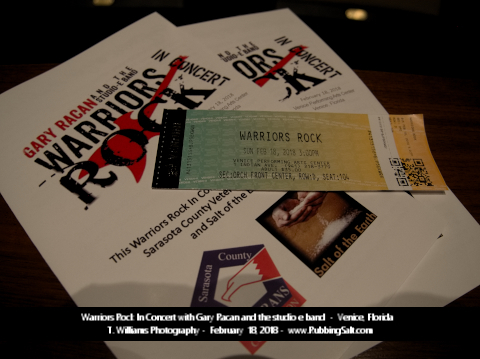 After meeting Kim and Gary Racan I became a true believer in the Warriors Rock Foundation. 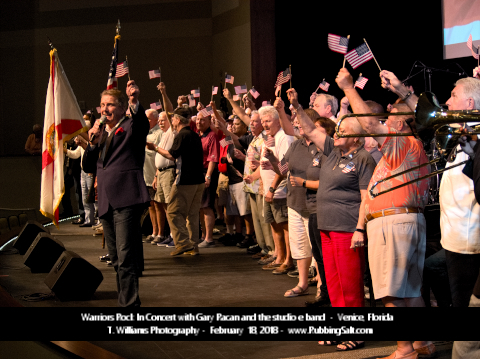 Kim and Gary are honoring their father’s service to our nation by giving of their time, talents and resources to honor our veterans via the music that inspired each of them while serving in our military. 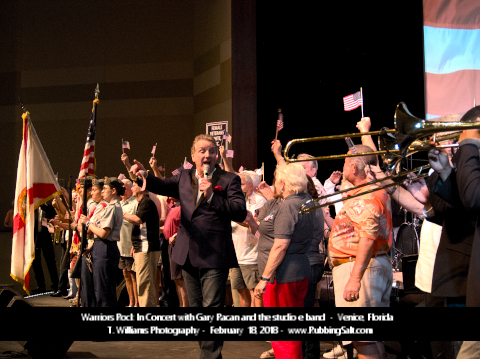 Kim, a highly successful business woman, and Gary, who lead the Vogues for 16 years with 14 top of the charts hits, have dedicated themselves to restoring patriotism and a love of America by playing music that is inspirational, evokes mountains of emotion and has audiences literally dancing in the aisles. 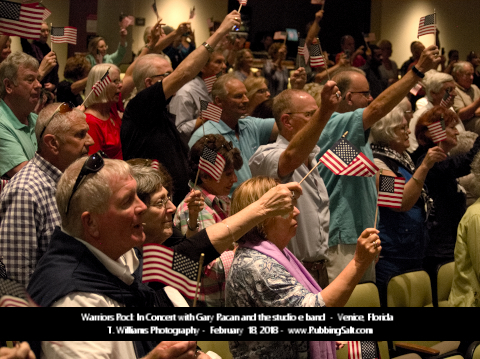 Laughter, tears and love were evident during their wonderful performance in Venice, Florida. I am not only a fan, I believe what they are doing is making tens thousands of Americans understand the true sacrifices that our men and women who served made to keep us all free. It is their music that tells their story. 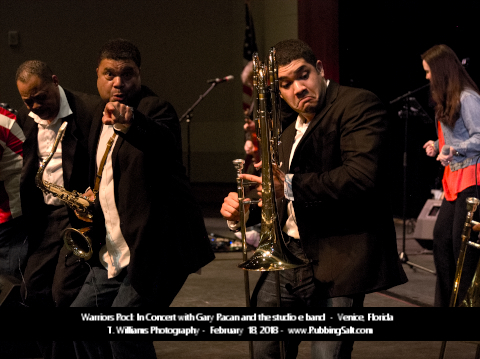 The Warriors Rock concert is more, much more than the sum of its many beautiful parts. It leaves those who watch and listen to Gary’s E Studio Band renewed and truly inspired. The concert is a gift to America. A BIG THANK YOU to the sponsors of this event!